A run-in with the officials gave Perry the pick-me-up en route to a 3-0 victory over Liberty Saturday. The 2018 6A state runner-ups are quarterfinal bound after things got chippy between the officials and the Pumas sideline. 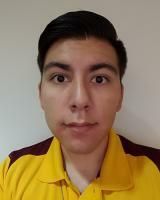 Assistant coach Kete Meskill received a red card and was ejected in the 27th minute, though it was unclear as to what he did to receive the punishment. "All I can say is he didn't say anything," said coach John Roberts, who received a yellow card during the situation. The Pumas began the game slowly. 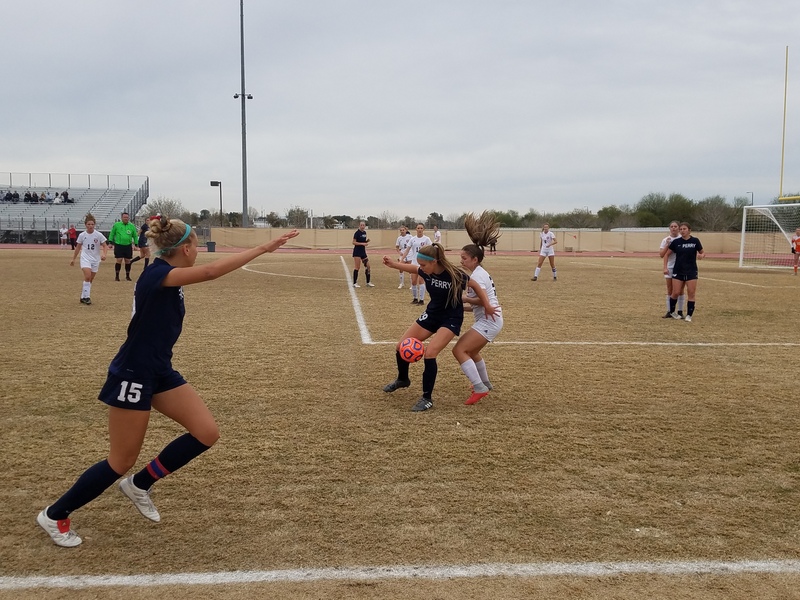 The Lions held Perry to a scoreless draw up until 30 minutes into the first half when sophomore Mikella Reed drew first blood for the Pumas minutes after the ejection. 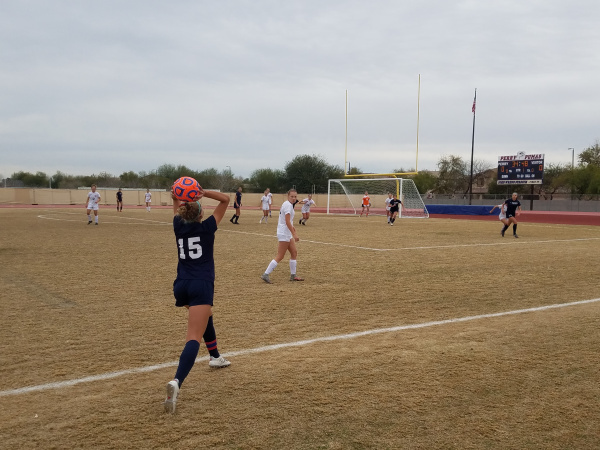 Still frustrated, the Pumas came out hot in the second half, scoring in the 60th and 63rd minutes, courtesy of seniors Annika Sandstedt and Bailee Brown. "We were all on edge," Sandstedt said. "[Senior Joey Lujan] served a great ball, I was just focused on getting it in the net, and I did." "We wanted to prove to the other team that we are better than them, and without our coach, we can do it," senior Shaylynn Uyeshiro said. A youthful team led by only four seniors, the Pumas are determined to get to the title game and firmly put last year's 6A championship loss to Xavier behind them for good. "We have so many great underclassmen and so much great talent," Brown said. "A lot of the seniors were here last year, so we know how much we want it and how close we were last year." Perry's underclassmen have proven they want to do what last year's Pumas couldn't. They have allowed only one goal in a 20-0-3 season. "We just need to continue to play our game," Roberts said. "We've scored close to a hundred goals, so we're doing everything we need to do we just need to continue to do it and do it well." Perry's next game is Wednesdayagainst the winner of Pinnacle vs. Red Mountain.